The International Tennis Premier League 2016 (IPTL) is all set to be back. But this year’s IPTL is all set to give a miss to the big names in the tennis circuit. 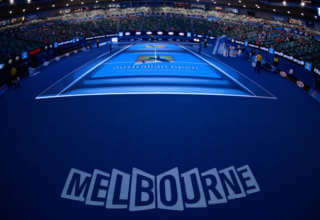 Only one of the ‘Big Four” is going to make an appearance in the upcoming International Premier Tennis League 2016. The upcoming IPTL 2016 is going to shift its base to Hyderabad. 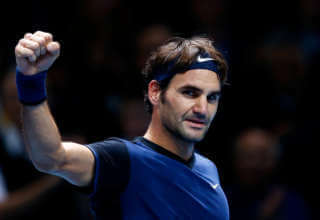 On the previous occasion, that is the IPTL 2015 took place at New Delhi with The Indian Aces led by Roger Federer winning the title. The first edition of the IPTL that happened in 2014 was won by Singapore Slammers. Singapore Slammers were led by current world number one Andy Murray. And the latest news has come in that the International Premier Tennis League 2016 is going to move to Hyderabad and we will not be able to watch the big players like Roger Federer, Rafael Nadal, Novak Djokovic and Andy Murray together inside the court. Only one of these four players will be taking part in this year’s edition of the International Premier Tennis League. The IPTL‘s director Mahesh Bhupathi has been quoted saying, “One of the Big Four is definitely coming. We did not want to reveal all our cards today. We will announce the name in the next 48 hours.” But the omission of Roger Federer and Rafael Nadal is primarily owing to their injuries. Federer has not been in action inside the tennis court since the Wimbledon 2016. Rafael Nadal has also withdrawn himself from the court in the month of October. So it remains to be seen who is going to be the man from the list “Big Four” who will make the cut for the International Premier Tennis League 2016. Novak Djokovic gave it a miss last season, and it could well be him going by that fact only. It could also be Andy Murray. 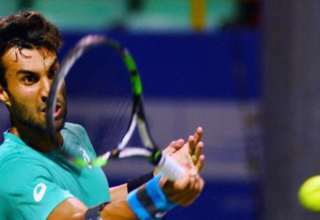 India’s first Grand Slam champion and the director-founder of International Premier Tennis League has also said, “All the players we had last year are back. We had a long list of players who wanted to come but unfortunately could not come because there were no spots. Everything is good. That’s why they say don’t believe in everything you read.” As of now the highest ranked player is going to be Feliciano Lopez from Spain. Lopez is currently ranked at the number 28 position. Besides the absence of the big names from the singles circuit, the IPTL is also going to miss Leander Paes who is also not going to his team this year. On the previous occasion, Paes played for the Japanese Warriors last year. Also, the Philippines Mavericks are going to give this year’s International Premier Tennis League a miss.